It looks like that Mad Max: Fury Road sequel we've all been hoping for may be on hold, if it happens at all. Director George Miller and his producing partner Doug Mitchell are currently suing Warner Bros., or, more precisely, their production company Kennedy Miller Mitchell is suing Warner Bros., over money they're said to be owed contractually for Mad Max: Fury Road. The studio disagrees, so the matter needs to be settled in court. The dispute, according to Justice David Hammerschlag, hinges on an agreement that states Kennedy Miller Mitchell would receive a $7 million bonus if "the final net cost" of the movie was less than $US157 million. That number was to be determined after certain costs were excluded from calculations. Here's what Justice Hammerschlag had to say about the dispute. "On [Warner Bros'] calculations, Mad Max went over budget. If these calculations are right, [Kennedy Miller Mitchell] does not get a bonus. [But the production company] claims [Warner Bros] made a series of decisions which caused substantial changes and delays to Mad Max, which led to additional costs and expenses and that [the studio] wrongly took them into account in its over-budget calculation. If those costs are left out of account [Kennedy Miller Mitchell] says that Mad Max came in under budget." Court proceedings started in September. Aside from the $7 million bonus, there's also an issue about co-financing. Warner Bros. was supposed to approach Kennedy Miller Mitchell first, if they were to seek any co-financing for Mad Max: Fury Road, according to George Miller and Doug Mitchell, Warner Bros entered into a co-financing agreement with RatPac Entertainment, which at that time was co-ran by Brett Ratner, who is currently in hot water over sexual harassment allegations. By doing so, Warner Bros. breached their agreement. Here's what Miller and Mitchell had to say about the situation in a statement. "Simply put, we are owed substantial earnings for diligent and painstaking work which spanned over 10 years in development of the script and preparation and three years in production of the movie. That hard work resulted in a picture which found wide acclaim globally ... We would much prefer to be making movies with Warner Bros than litigating with them but, after trying for over a year, we were unable to reach a satisfactory resolution and have now had to resort to a lawsuit to sort things out." Warner Bros. had a much shorter, but very clear statement, saying, "We disagree and will vigorously defend against these claims." Mad Max: Fury Road was a huge success. The movie did decent financially, bringing in $378 million worldwide. However, it was a tremendous critical success that won six Academy Awards. As such, it's been expected that a sequel would have been underway by now. 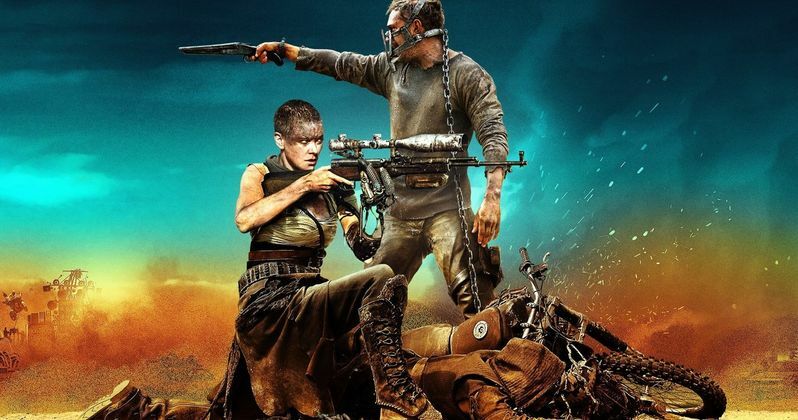 Director George Miller has discussed his plans for two more possible Mad Max movies that include Mad Max: The Wasteland and Mad Max: Furiosa, but it's pretty clear why work hasn't begun now. There's no word on when this lawsuit may be settled, but it's surely going to get in the way of Warner Bros. working relationship with George Miller. Though not explicitly outlined in the Sydney Morning Herald's report, it's obvious that this dispute will potentially jeopardize further Mad Max installments. Let's just hope they can work this out and find a way to move forward.